One of our best boxes, this one is small, but just large enough to make an impact. 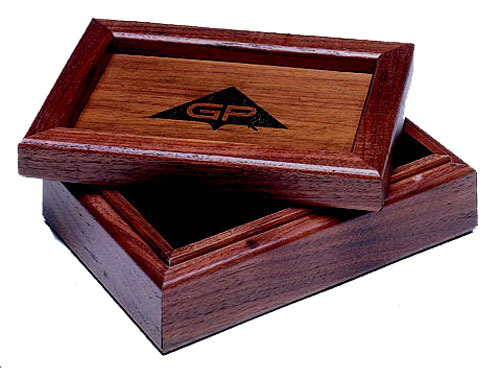 Solid Pennsylvania hardwood, expertly crafted and laser engraved with your logo and graphics. Lid is completely removable and it features velour lining too. Lid can be Laser Engraved or in Full Color Graphics, NO Minimums, Hand Made in the USA. ** NEED SOMETHING DIFFERENT ** We can design any item to fit your specifications.